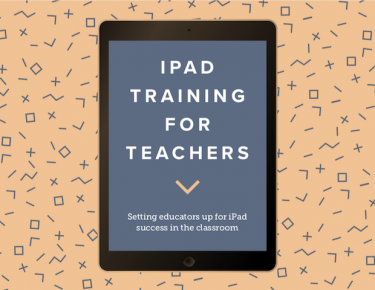 The ultimate guide to get your teachers up and running with iPad in their classrooms. According to Edsurge, 37 percent of teachers say they want to adopt technology in their classroom, but simply don't know how. If you're looking for ways to ensure this doesn't happen to teachers in your school or district, you've come to the right place. Download this e-book to learn how to stay ahead of teachers abandoning technology in the classroom and get practical advice from Jamf education customers on how their IT teams helped teachers feel more comfortable with iPad in the classroom.